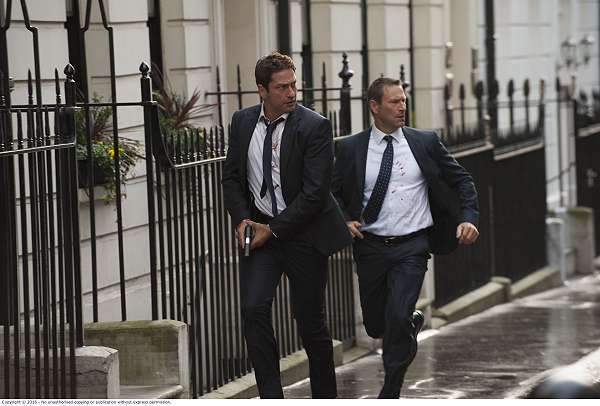 London Has Fallen tells the far too convenient story of a Secret Service agent tasked with protecting the American President as they travel to London for the funeral of the British Prime Minister. Special Agent Banning (Gerard Butler) has fully typed his resignation letter. He and his wife are expecting a baby at any moment when suddenly duty calls. An unbelievably well-orchestrated series of coordinated terrorist attacks sees iconic landmarks all over London destroyed in a blaze of poorly-executed CGI. The viewer is anything but surprised as they await the next dramatic event to almost kill the protagonist and his President (Aaron Eckhart). After the duo survive an absurd sequence of crashes and attacks we watch them run into the subway for a showdown with some terrorists, and now finally the gratuitous violence, casual racism and obscene collateral damage can really begin. The film is definitely action-packed and there is never a dull moment, but the story-line is too contrived to overlook. Typical Hollywood one-liners and extremely worn tropes abound, right down to the villain taking just a split-second too long to deal with his hostage before the day can be saved and the heroics streamed live on YouTube for a captivated public. the day can be saved and the heroics streamed live on YouTube for a captivated public. Nothing comes as a shock in this film, from the deaths of colleagues who weren't of the right demographic to be allowed an ongoing role in the film (eg. black women), to Agent Banning convincing the British SAS that he is in charge once the president is kidnapped. The final scenes kill any hope the viewer may have left that the end of the movie would bring something to the story that wasn't horrendously cliched. 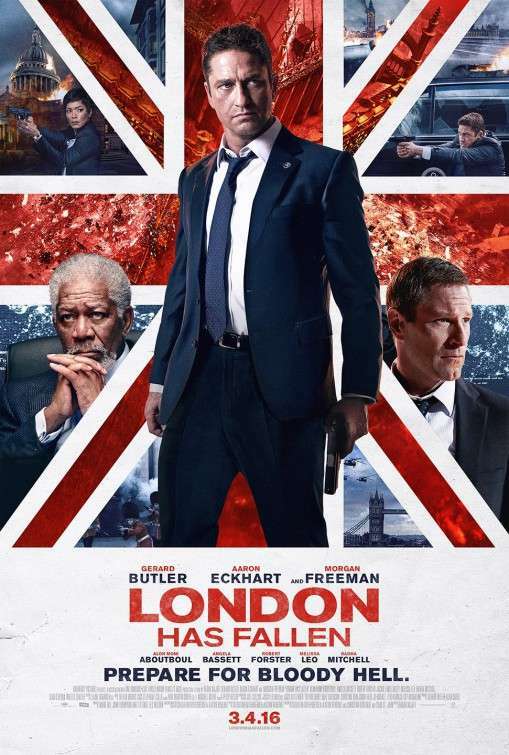 The type of movie that usually would hold some appeal with its face-stabbing scenes and explosions, London Has Fallen fails to bring anything interesting or novel to what is just another terribly patriotic propaganda piece in which we are shown "justice" to be recklessly bombing the Middle East - the very action that made the president a target to begin with.